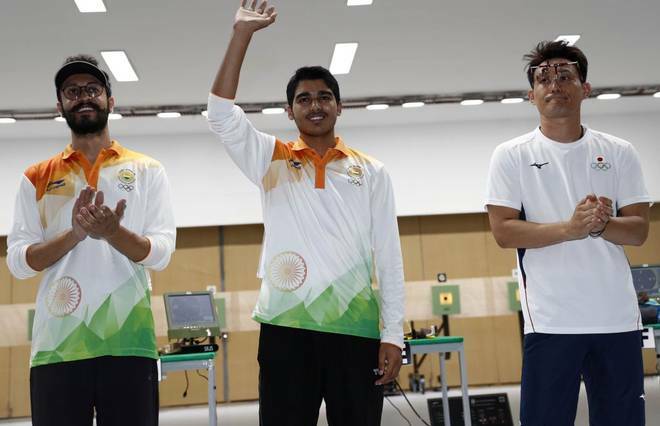 Shooter Saurabh Chaudhary (16) has clinched gold in the Men’s 10m Air Pistol event at the 2018 Jakarta Asian Games in Indonesia on August 21. It is India’s first shooting gold in the ongoing event. While another Indian shooter, Abhishek Verma won bronze in the same event. India have won five medals in shooting at the Games so far. He had earlier won a gold medal and set a new junior world record in the ISSF Junior World Cup in Suhl ,Germany.